Don't miss this Stunning Crosswoods Condo with a gorgeous greenbelt view of Arcade Creek, which can be enjoyed from the newly rebuilt covered deck! First, check out the remodeled kitchen featuring white cabinets, Kitchen Aide stainless steel appliances, absolute black granite counters with a leather finish and a modern tile backsplash. Then, take note that all 3 bathrooms have been tastefully updated, and the master bathroom shower boasts amazing quartz and marble! Next, fall in love with the wood and tile floors found throughout the home, but don't overlook the canned lighting, paneled interior doors, wood blinds, crown molding and upgraded baseboards. 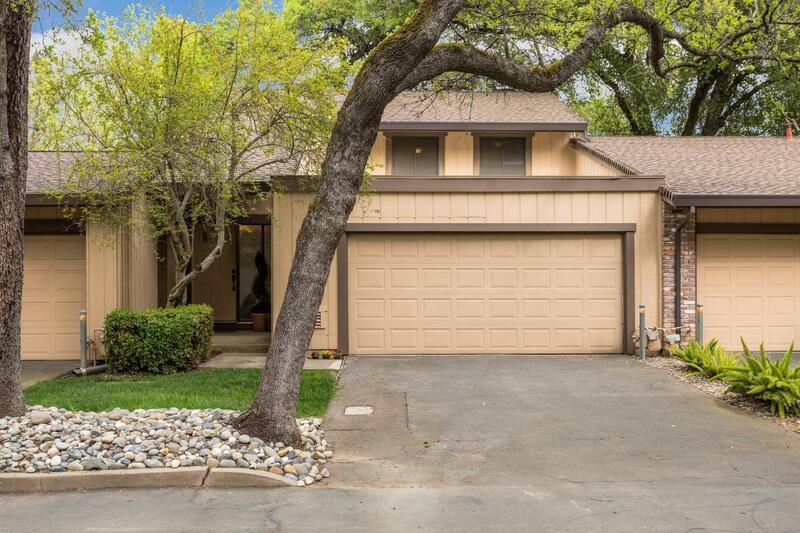 Besides what you see, note that the Water Heater and HVAC are 6 years new, interior paint is 3 years new and the HOA maintains the exterior and roof, as well as offers multiple pools and serene walking trails. Walkability to restaurants, shops, library and more. Welcome home to a place that exudes charm, character, and class!